Former Australian legend Shane Warne picked his Australian squad for the upcoming World Cup. Warne picked suspended cricketers Steve Smith and David Warner in his squad. Former Australian legend Shane Warne picked his Australian squad for the upcoming World Cup. Warne picked suspended cricketers Steve Smith and David Warner in his squad. Australia has not been playing cricket of high quality after the suspension of the trio which includes Cameron Bancroft as the third cricketer. The trio was suspended after they were caught in a ball-tampering scandal early in 2018 in South Africa. Shane Warne wrote in his column for the Herald Sun, “I really do believe Australia can win the World Cup. I think it’s a fantastic one-day side. The talent is there, and if they can gel quickly, I think they’ll play really well.” Warne seemed pretty confident of the returning pair of Warner and Smith and went as far as suggesting, “Warner could be the player of the World Cup. 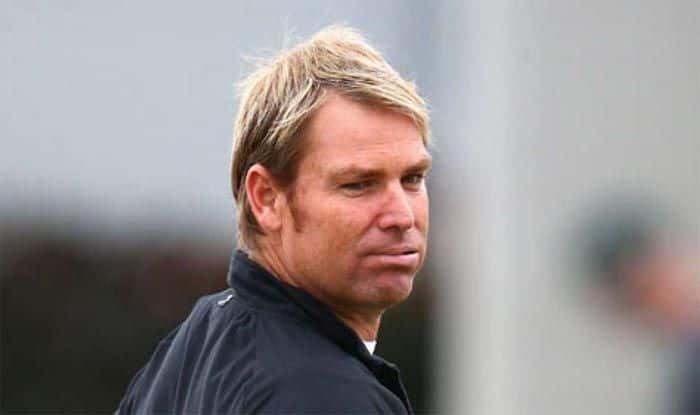 They will want to make a statement, they will want to make amends, but also to prove to everyone just how good they are, they’ll be so driven.” Warne has picked his starting XI and he feels Warner should open with D’Arcy Short. “I’d really like to find a spot in the team for Ashton Turner, but he’s a very handy reserve. He comes in if Smith’s elbow doesn’t recover. Smith has to be able to field too. If he can’t throw, he doesn’t go. I’m also happy to include Peter Handscomb to keep his spot in the squad. I like what he’s done in the team recently,” he concluded.